Southeast Campaign. The North Carolina Governor’s Cup Series takes over the docks beginning July 1 for the 37th Annual Cape Fear Blue Marlin Tournament. The four-day holiday ends with a bang over the USS North Carolina Battleship in a Top 10 ranked shower of fireworks over the Cape Fear River. WRIGHTSVILLE BEACH, NC – Sportfishing and fireworks at their finest return to Wrightsville Beach and Wilmington next week July 1 – 4. 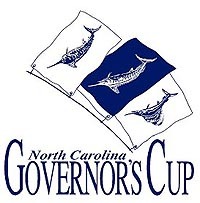 The North Carolina Governor’s Cup Series takes over the docks beginning July 1 for the annual Cape Fear Blue Marlin Tournament. The four-day holiday ends with a bang over the USS North Carolina Battleship in a Top 10 ranked shower of fireworks over the Cape Fear River. Captains, crews and anglers will be heading out to sea in search of the ocean’s largest wild game fish: the majestic Blue Marlin during the three-day, catch and release billfish tournament now in its 37th year. The purse will be approximately $ 100,000. Award ceremonies will take place Saturday night July 3, at 7 PM in Lumina Hall (Wrightsville Beach). Managed by the state’s Division of Marine Fisheries, The Governor’s Cup Series conserves, protects, and preserves marine resources by awarding points for catch and release billfish. Blue Marlin that meet and exceed the 400 pound tournament size are brought to the docks for official weighing at Wrightsville Beach Marina located in the thick of the marina district on the Intracoastal Waterway. Of the 244 billfish caught last year, 57 were Blue Marlin. Spectators are welcome to witness the daily weigh-in firsthand from North Carolina’s powerful sportfishing fleet. The weekend festivities wrap up Sunday, July 4 with a sensational fireworks display in downtown Wilmington on the Cape Fear River. The USS North Carolina’s “Battleship Blast” features one of Coastal Living Magazine’s Top 10 Spots to celebrate the Fourth in the United States.